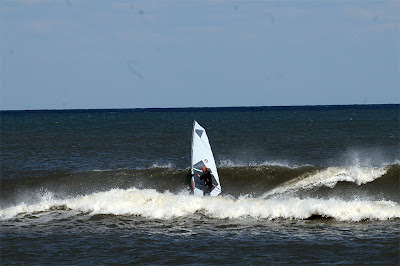 Bill's OBX Beach Life: Ramp 30 Yesterday! Kieth called to report an excellent surf setup at Ramp 30 yesterday. Sounds like the sand bars are set up nicely at the ramp this year with breaking action far offshore. Excellent news as given the closures at Cape Point, any open areas sound of the old Lighthouse beach will be filled with the fishing crew. Thus, not a lot of room for wavesailing as you do not want to get caught in fishing lines! 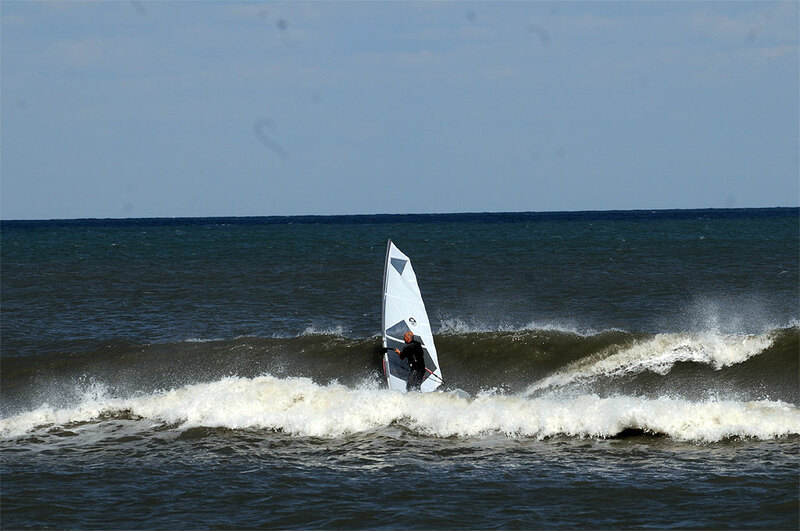 Rick submitted this pic of Keith yesterday having fun on the SeaLion at Ramp 30! All eyes are now on Thrusday (tomorrow) for the forecast return of strong SW wind!